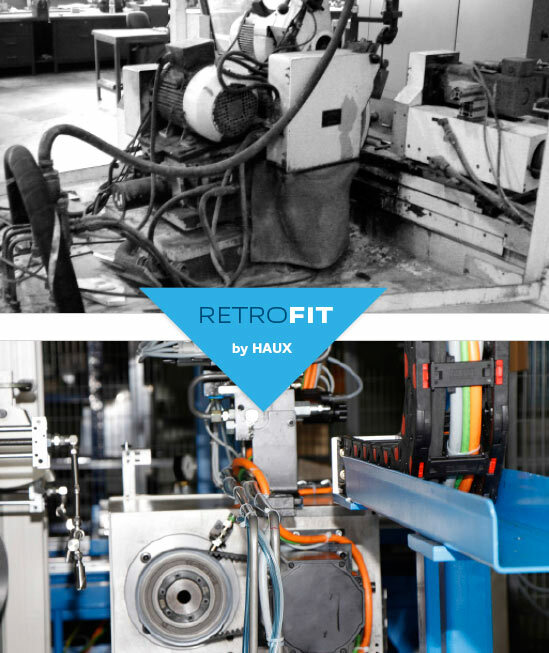 Retrofitting is a low-cost alternative to purchasing new. During the process, components are rebuilt or exchanged as needed. This lengthens the service life of the machine significantly. In addition, production volume and product quality also increase, while energy efficiency is improved at the same time. Legal regulations regarding emissions and work safety are taken into consideration as far as possible. After the retrofit, the machine is as state-of-the-art as it can be. The synergy effect is reflected in an almost unique know-how that even makes retrofitting units from other manufacturers possible. Rebuilding, including modernizing machine control, provides old machines with new capabilities.